Artist William Burton Jr. talks with Black Rep founder Ron Himes as he works on a mural on the side of the theater company's office building. In the mid-1970s, Ron Himes started a St. Louis theater company to tell the stories of African-Americans. 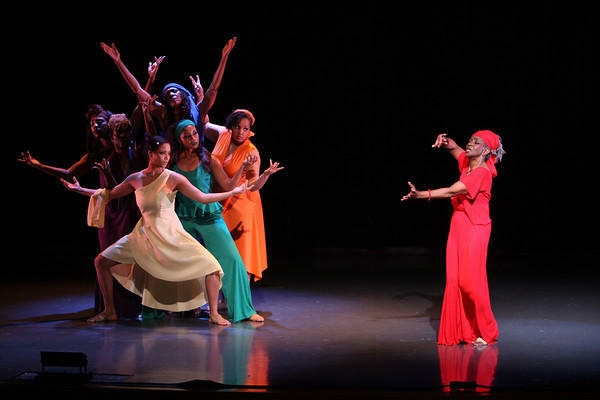 This week, Himes and the Black Rep are marking a milestone — the company’s 40th anniversary — with a fundraising concert, and the launch of a mural project. Both are designed to draw attention to the company, which is emerging from years of turmoil. This choice of "Dreamgirls in Concert" for Saturday night's gala is designed to help the Black Rep draw a wider, younger audience, and help regain financial stability. The "Dreamgirls" story is loosely based on the drama-filled rise of The Supremes and Diana Ross. 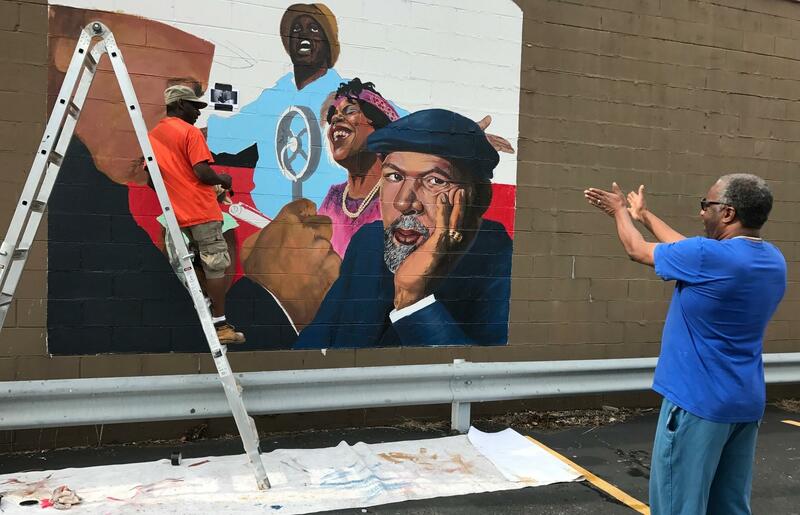 The first installation of the mural features another preeminent figure: playwright August Wilson, best known for his “American Century Cycle,” 10 plays that track the experiences of African-Americans through each decade of the 1900s. St. Louis Public Radio’s Nancy Fowler watches as the mural unfolds on the Black Rep building and talks with founder Ron Himes about his four decades of theater production. Here's a closeup look at playwright August Wilson from the new mural on the Black Rep's office building. Wilson's cycle begins with “Gem of the Ocean,” chronicling the early 1900s, and end with “Radio Golf,” a look at the 1990s. In spring 2017, the Black Rep will reprise “Seven Guitars,” Wilson’s play about a 1940s-era blues musician. To create the mural on the exterior walls of the Black Rep’s offices, St. Louis artist William Burton Jr. studied portraits of Wilson. The work includes two images of the playwright, as well as those of characters from his plays. Burton and Himes hope the project will eventually cover much of the building. Future faces may include playwright Ntozake Shange and St. Louis’ own Linda Kennedy. Shange, who was born in Trenton, N.J, also lived in St. Louis as a child. 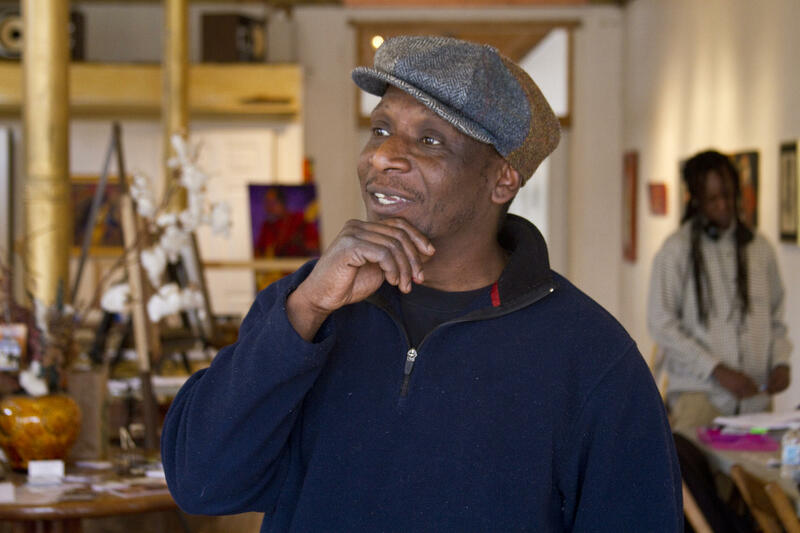 Artist William Burton Jr. looks around in his former gallery in North City's Crown Square. Burton hopes the mural will turn new eyes toward the Black Rep, which has struggled to stay in business over the past several years. Initially, the company grew and thrived, and moved into its own Grand Center venue. But audiences began to dwindle in the early 2000s. By 2009, the Black Rep had lost two-thirds of its 3,000 subscribers and the troupe began operating in the red. Four years later, the Black Rep lost its home of 20 years and scrambled to find a venue. Now the company is down to 400 subscribers. Moving forward no longer means the Black Rep is seeking its own venue. Himes is satisfied with the performance spaces offered by Washington University and Harris Stowe State University. Washington University also owns the Black Rep’s off-campus office building. If you drive along Page Boulevard between Kingshighway and Union Boulevards, you can find Ron Himes’ face on another St. Louis building. Ron Himes and Miles Davis appear in the Better Family Life mural project along Page Boulevard in north St. Louis. His portrait is part of a north St. Louis mural project by an organization called Better Family Life. 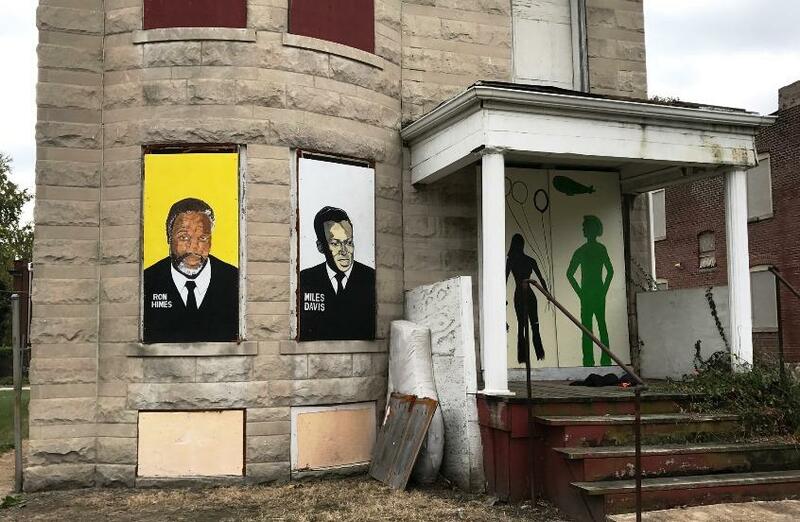 The dozens of painted faces on blighted buildings also include those of activist Jamila Rogers and former state Sen. J.B. "Jet" Banks, who died in 2003. Himes is in good company among this esteemed group, and on the particular building on which his face is pictured. “Right next to Miles Davis,” Himes said. Operating in the black again is a major goal as the Black Rep enters its fifth decade. That means attracting broader audiences and younger theater-goers. Kira Van Niel goes to at least one Black Rep play every year. Kira Van Niel is a young supporter of the Black Rep. 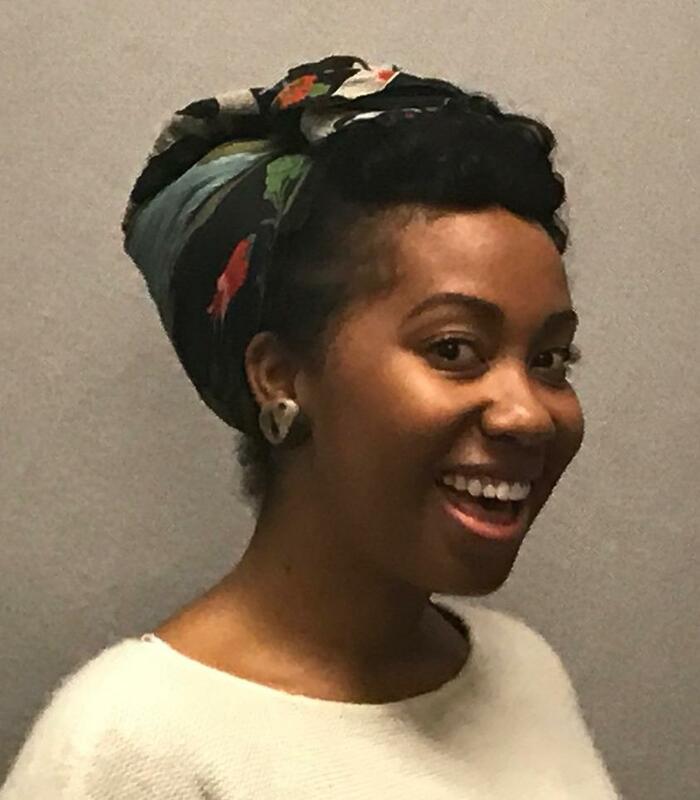 The 32-year-old engineer knows other mainstream theater companies like the Repertory Theatre of St. Louis are turning more attention toward black playwrights. But she believes there will always be a need for a theater company run by African-Americans. The theater company hasn't found it easy to draw in millennials like Van Niel, according to Himes. He said they have very different ideas from their parents and grandparents about their free time. 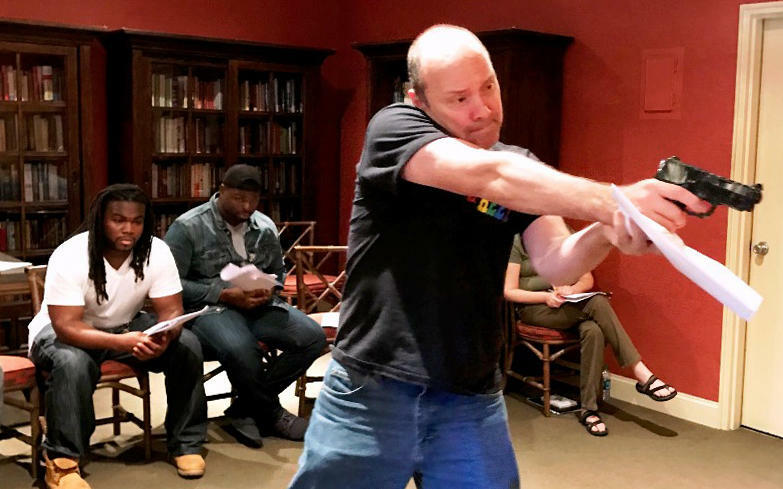 “I don’t think that there are many young people, across the board, who, when they’re sitting up thinking about a date night, that they grab the paper and say, ‘Oh what play are we going to see?’” Himes said. For the Black Rep to be successful, Himes said it must cater to theater-goers like Mitchell and Van Neil. As he envisions the years to come, he likes to think of how Effie, Hudson’s character in “Dreamgirls,” tells her man she’s not leaving and vows to renew his passion. Here’s Jennifer Hudson’s version of “And I Am Telling You” from the “Dreamgirls’” movie. This report was prepared with help from our Public Insight Network. Click here to learn more or join our conversation. 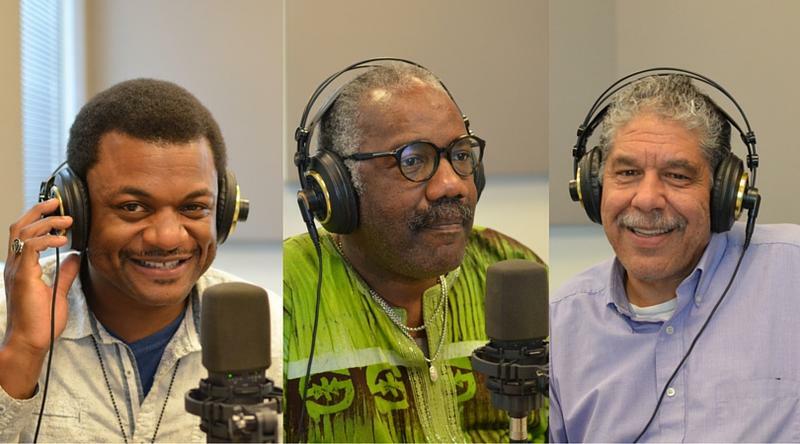 The events of Ferguson have resulted in an explosion of arts activism in St. Louis. Painters, performers and arts movers and shakers have created a tremendous body of work around racism and other barriers to social justice. But activism is nothing new to the Black Rep.